2 Kids and Tired Books: The House in Grosvenor Square...Wild Card! 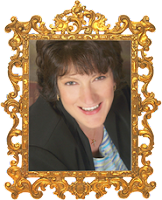 Linore Rose Burkard is the creator of Inspirational Romance for the Jane Austen Soul. Her characters take you back in time to experience life and love during the English Regency (ca. 1800-1830). With a unique blend of Christian faith, romance, and well-researched details of the period, Linore's stories will make you laugh and sigh, keeping you glued to the page to the very last word. The House in Grosvenor Square continues the Regency Series which began with the wildly popular Before the Season Ends. Once again readers are invited to experience a romantic age, where timeless lessons apply to modern life, and happy endings are possible for everyone! Linore grew up in NYC, and now lives in Ohio with her husband and five children. A longtime fan of Jane Austen and Georgette Heyer, Linore delights in bringing Regency England to life for today’s reader. Inexplicable. There was no other word for Mr. Mornay's behaviour to her that morning, and Ariana Forsythe could think of naught else unless it changed. Soon. She looked at him challengingly, where he sat across from her in his expensive, plush black coach. Faultlessly handsome, Phillip Mornay was dressed stylishly in a twin-tailed frock coat, buff pantaloons and polished black boots. His beautifully tied cravat puffed lightly out from an embroidered white waistcoat, and his dark hair and famously handsome features were framed by a top hat. Everything he wore looked new, his clothing always did; and yet he might have worn it a dozen times, so comfortable did he appear in his attire. this morning, and it was beginning to grate on her nerves. She had to think of something to say. “Tomorrow is the day I shall see the full of your house, is it not?” She had been in Mr. Mornay's house in Grosvenor Square before, but this time she and Aunt Bentley were to get a tour, top to bottom, so she would feel more at home after the wedding. She and Mr. Mornay were betrothed to be married in two weeks. The dark eyes flicked at her, and she felt a fleeting twinge of satisfaction. She wanted to hold his attention, and began a smile, but he looked away, abruptly. What could be wrong? Mr. Mornay often studied her when they were together; she was so used to finding the dark-eyed warm gaze upon her, in fact, that she felt somewhat abandoned to be deprived of it, now. Had she done something to displease him? When he usually attended to her so deeply as though he could read into her soul? They were on their way to the London Orphan Society, in Mr. Mornay's upholstered coach-and-four, with its fashionable high-steppers and liveried footmen on back, to attend a special service at the Society's Chapel. A lady was giving a dramatic reading from Scripture; a most celebrated dramatic reading. Ariana and Mr. Mornay had received invitations for the event, with encouragement to invite anyone of their acquaintance. Thus, there were also four other occupants in the carriage this morning, and seating was snug. On either side of Ariana was a relation. Her younger sister, Beatrice, just turned twelve, was to her left, and her aunt and chaperon for the season, Mrs. Agatha Bentley, sat on her right. The ladies faced the gentlemen sitting across from them; first, Mr. Peter O'Brien, a future cleric, at Beatrice's particular request; then Ariana's future husband, Mr. Mornay, silent and unapproachable, and finally, the agreeable Mr. Pellham, her aunt's betrothed. (She and her aunt were betrothed at the same time. A most fortuitous turn of events; Ariana ought to have been in raptures of joy.) But unless Mr. Mornay's demeanour changed, Ariana could not enjoy herself. His inattentiveness was such a contrast to his usual behaviour that it was impossible for her to ignore it, or shrug it off as mere ill humour. It seemed ironic now that when all had been uncertain about the wedding, (when Ariana had held out against her desire to marry Mr. Mornay because she would only marry a man who could share her spiritual life in God,) that up to then, his love and affection were painfully clear. And now, after Mr. Mornay had undergone a stark change in his religion; that is, when he came to believe in a personal, loving God, and the betrothal was settled, suddenly he was behaving as though he wished it were not. Sitting across from her, he should have been engaging her with his usual intent gaze, smiling slightly at her remarks when she amused him or spoke to others; instead, he sat staring out the window (a thing he never did) and appeared to be morosely preoccupied in his own thoughts. It pricked against her nerves. She would bring him out of this brown study if it took all her ingenuity! Oh, dear. He is utterly not himself! Or has he taken a disgust of me? The carriage fell silent. Mr. Mornay had thick, dark hair which tapered to the tip of his collar; short, dark sideburns, and handsome, strong-boned features. His eyes were deep, dark, and expressive, and his manner of dress, the height of manly perfection. Though he would not deign to discuss good style, he had a faultless sense of it, and many an aspiring buck or beau modeled their choice of attire after his. Like Ariana, his neatness appeared effortless. And he was universally approved of in the best houses, (save for those of the staunchest Whigs, who had still not forgiven Prinny or his pals, of which Mr. Mornay was one, for abandoning them for the Tories). Even Ariana, who had little patience for matters of dress, found herself in awe of his presence at times. All told, he was an imposing character; a man one did not ignore or take lightly. Ariana was not happy with his tone of address, nor that she would not be seeing him after the morning service, but while she decided whether to make an answer to him, Beatrice broke the silence instead. “Achoo!” The twelve-year-old folded her handkerchief and looked about apologetically. Beatrice had only recently joined Ariana in London, and both girls were staying at Mrs. Bentley's town house in Hanover Square. Mrs. Bentley gave her younger niece a severe look, which Ariana did not fail to notice. Their aunt was a wealthy widow with a good soul at heart, but the lady was too prepared, Ariana felt, to make the worst of anything or anyone who posed a threat to her plans, her schedule, or her expectations. Alarmed at the hint of an ague in her niece, Mrs. Bentley's delicately lined face wrinkled in disapproval while she pulled her gloves more tightly onto her hands. “No, no, I assure you!” And yet, the young girl had to stop even now, quickly covering her mouth and nose with her handkerchief to allow a second “Achoo!” to escape. “Bless you,” said Mr. O'Brien, bringing a blinking smile to Beatrice's young face. “Humph!” murmured Mrs. Bentley, deciding immediately to send the girl at the soonest convenience back to Chesterton and her family. She would not allow Ariana to contract a cold. Not with the wedding this close. Goodness knew, Mrs. Bentley had seen enough threats to this marriage—a coup d'etat, to be sure—and desired that nothing further could imperil the thing. With the ceremony so close, she was finally beginning to relax. The marriage was certain to take place. But she couldn't help remembering it hadn't always been that way. No, indeed! Why, since the day Mr. Mornay had asked for her niece, there had been one vexation after another, each more threatening than the last, each liable to ruin the man's hopes—and her own, for she wanted nothing more than to see the couple wed. Her own niece, after all, fresh from the country, had unwittingly captured the heart of London's most famous bachelor—Mr. Phillip Mornay, known in Town as the Paragon. He was called the Paragon because he possessed three of the highest virtues of the English upper class: sartorial elegance, figure, and (most importantly) a fabulous fortune. Besides the family seat in Middlesex with a large tenantry and the house in Grosvenor Square, he owned small holdings and properties throughout the British Empire, all of which added to his income. His match to the debutante Miss Forsythe—a beauty in her own right, and rumoured to be an heiress, (a thing which Mrs. Bentley had fostered by putting up enough blunt for Ariana's Season that no one thought to credit her for doing so) was famous. Not since the Regent himself wed Caroline of Brunswick had there been such a general anticipation of a marriage (though one might rightly call the prince's an infamous match, she reflected!). In any case, it was too wonderful a happenstance to let such a thing as a young chit like Beatrice put a damper on it with an ague. If Ariana were to fall ill, the marriage would still take place, of course; but why imperil the older girl? Why give her the least excuse to raise an objection? (Ariana was far too liable to raise objections—that had been the trouble from the beginning!) What if she were to wish for a postponement? Mrs. Bentley's nerves couldn't stand for it. No, with the assurance that Ariana was finally settled upon her fiancé, there was nought to hinder the event—and she, Mrs. Bentley, would do everything in her power to see that it remained that way. Casting her eyes upon her niece, she had to acknowledge a twinge of satisfaction (for not the first time) at how the girl wore the expensive clothing she herself had bought her-- like a queen. Ariana was dressed in the same modish style as her aunt, not because she could afford it or had the slightest interest in cutting a wave, but for the reasons that Mrs. Bentley could, and did. She was decidedly happy to have been so generous with the girl, for it had helped, she was certain, to catch the eye of Mornay, and indeed, of the ton. Was not her niece toasted at every evening supper she attended? Had not the Regent himself approved of her? True, Ariana did have to endure the occasional jest from Mornay's circle of aristocratic wags on account of her well-known piety, but even these men were gentler to her than was their usual habit concerning women. And now she, Mrs. Bentley, had been enjoying her most successful Season since her own come out, decades earlier. Routs, card parties, soirees—the sort of things she adored, were crowding her calendar as the chaperon of Miss Forsythe, and she was going to marry Randolph-- it was indeed an annus mirabilis! Just then a sudden nasty odour pulled her from her thoughts. “Oh, dear,” she murmured, turning to the Paragon. “Where is this Orphan Society? We are getting into neighborhoods that I cannot like.” The dignified streets of Mayfair were behind them, and now they were in roads that were muddy and crowded with carts and working-class people. Child vagabonds could be seen huddling in doorways. Pedestrians stopped what they were doing to watch the shiny black coach with its high-steppers, and try to get a glimpse of the dignitaries who must be inside such a vehicle. Looking across at her suitor, she suddenly wondered if it would jar with his disposition to become a philanthropist? Certainly it was expected of the wealthy, wasn't it? Even in her little town of Chesterton, it was the wealthiest families, those with the huge estates, who held the Annual Balls, the Harvest Home, the Christmas Hall festivities. Mr. Mornay was part of this wealthy class. She hoped it would fall to her to organize charitable events as his wife. “Do you?” She was greatly surprised. It was not a fashionable part of the city. “A house?” she asked, trying to prolong the conversation. Finally he was at least giving her his attention. Mrs. Bentley fished an expensive, lace-edged handkerchief from her reticule, and held it now over her mouth and nose, as if the mere fact of passing through the neighborhood might result in being exposed to noxious vapours. Mr. Pellham took her other hand and patted it soothingly. Beatrice, all eyes, extended her own hand out towards Mr. O'Brien. “Would you like to take my hand, Mr. O'Brien?” she asked. His eyes opened rather wide, but before he could say anything, Mrs. Bentley chided, “Hush!” and, reaching across Ariana, landed a harmless “slap” to the girl's outstretched hand with her handkerchief. Why did youngsters have to do the most foolish things imaginable? Wasn't it enough that she had had to steer Ariana clear of the future cleric? Now would she have to do the same for her younger niece when she came of age? Mr. Peter O'Brien, meanwhile, smiled shortly at the girl to be kind, but he was much more concerned, despite his best efforts, with her elder sister. He could never become quite inured to the striking figure Miss Forsythe presented, and he smoothed his coat lapels and adjusted his cravat. He'd been taking as many glances at Ariana as he could safely do while trying to conceal his admiration of her—he had lost her to Mornay, there was no way around it. But it was a difficult pill to swallow, and he still got choked up by it on occasion. Mr. O'Brien had entertained hopes of forming a betrothal with Ariana himself. He was not wealthy, and he was Irish—both of which were not in his favour, particularly with the standards that Miss Forsythe's aunt seemed to demand from any would-be suitor of her niece's. He was mildly ill-at-ease, therefore, despite his being firmly included on Beatrice's account. (The girl had taken an instant partiality to him, insisting on his company as often as possible.) He could not rid himself of his still strong admiration for her elder sister, however, and that, coupled with a touch of pique—he'd had such hopes of her—moved him to join her company whenever possible. Miss Forsythe had been too, too friendly for him to think she felt nothing more than mere friendship for him! But it wasn't becoming in a man of faith to nurse a grudge-- his calling was in the Church, which, even if he had not been a third son, he would have chosen in any case as he had strong religious leanings—and he had no wish to rub salt in a wound—but he could not resist the chance to be in her company. So he tried to avoid looking at her, having no wish to make a jackanape of himself, but it was difficult indeed, with such proximity to her sweet, radiant beauty. Furthermore, it was decidedly unusual for him to be welcomed into the presence of the Paragon, a man he felt more than a little antipathy towards. To be seated beside him now struck him as extraordinary, and he was mute with a mixture of caution, jealousy, and surprise. He had always scoffed at the man's reputation for excellent taste, but seated next to him, he could not deny a feeling of reluctant admiration. Mr. Mornay's clothing made a stark contrast to Mr. O'Brien's less costly attire, and the man's dark double-breasted tailcoat with tapered sleeves made his own frock coat, though sturdy, appear plain, indeed. “Hush!” Ariana said, not without affection. “Do you not fancy the coach? I could ride in it for days!” she exclaimed, wide-eyed. “Is your carriage as agreeable as this one, Mr. O'Brien?” the girl asked, making him shudder inwardly. He thought of the single family equipage he used when taking his mama and sisters about Town. Compared to Mornay's gleaming, springed and upholstered vehicle, his was shabby, indeed. “No,” he answered, trying to smile with the word. Mr. Mornay, observing the building as best he could from the interior of the coach, nodded his head. “Very likely.” All was quiet and neat on the outside. A gateman opened the way for them, and the coach moved ahead into a circular drive which brought them round to the front entrance. Stepping into the building, Mrs.Bentley raised her ankle-length pelisse as though it might drag on the tiled floor, while Ariana straightened her dark-blue French-style canezou. It had a deep flounce along the shoulders and neck-line and around the empire waist. Beneath a bonnet which sported two round puffs of pale, gathered fabric at the top, little ringlets of blond hair were just visible around her face—owing to her having endured a night with curling papers beneath her cap—and she was bright with youthful beauty this morning, as most days. She happily accepted Mr. Mornay's arm, still searching his countenance for a clue to his feelings, but he maintained a stony disregard of her. If not for his past effusive reassurances of love, she might have been exceedingly disconcerted. But she refused to believe anything of moment was behind his distant manner, and she tucked her arm into his with the added touch of her other hand, placing it upon his coat sleeve with feeling. The little group followed a lady by name of Mrs. Gullweather, who was the headmistress, and two female servants down a long, wide stone hall which ended at the chapel. A man-servant led them to seats in a front row. Ariana was impressed with the massive interior and its circular ceiling and long, stained-glass windows, beautiful against the light of morning outside. The benches around and behind them were full of children of all ages, who emitted only a low murmur from their ranks. She sat down cognizant of the pleasure of being next to Mr. Mornay. She glanced at him now, but he continued to study the area ahead, where Mrs. Gullweather was preparing to speak. She felt as though he was somewhere else today, far distant from the proceedings, from her. But she turned her attention to the front of the room, just as he had. She would think no more on it for now. The sight of the young orphans erased all other concerns from Ariana's heart. How glad she was to have come, today! She so wanted to make a difference somehow for children like these! God knew each by name and loved every one of them. The children sang an old hymn, “Ye Holy Angels, Bright,” and by its end, Ariana was thoroughly satisfied that the London Orphan Society was a worthy cause, indeed. When the dramatic actress, Mrs. Tiernan, finally stood before them, silent, even grave of countenance, a hush fell over the audience, including its youngest members. Her gown was of the classical Roman style, more like gowns that were in vogue a decade ago (as Ariana knew from her mama's old fashion catalogues). Expecting her to begin, the audience waited. But she kept her eyes fixed on a spot overhead, towards a window. When she continued to stare like a statue at that fixed point against the opposite wall, people began to look at it, too. Was it supposed to mean something? Then, just when everyone despaired of her ever doing anything other than staring at the window, she turned and faced the assembly. This time she stared down the main aisle, as though she were in a trance. Then, suddenly, with a dramatic flourish of her arm, she cried, “Hear the Word of the Lord!” Her voice rang out loud and piercing as it cut into the silence. Then, in a quieter tone, “A dramatic reading from the Book of Revelations, Chapter One, verses ten through twenty.” She slowly moved her gaze to take in the onlookers. Her eyes were calm and yet seemed to blaze from within, settling to flicker momentarily upon Ariana and her companions. Again the hush grew deep with anticipation. Mrs. Tiernan dropped suddenly to her knees, her arms raised high, and then turned her head as if listening. In a clear tone which carried an authoritative quality, she began in earnest. “On the Lord's Day I was in the Spirit. And I heard behind me a loud voice like a trumpet.” She added measured movements of her arms and even her body, so that she made a captivating sight. “...And his voice,” she lifted her head to listen, “was like the sound of rushing waters. In his right hand he held seven stars, and out of his mouth came a sharp double-edged sword.” She made a motion as if taking a sword from its sheath, and then, magically, a small leather book was in her hand! How had she done it? Ariana didn't know. But there it was, a concrete allusion to the “double-edged sword” being the word of God. When the reading was ended, Mrs. Tiernan froze, statue-like, except that her head was bowed. In a minute, people began to applaud, led by Mr. O'Brien, which would have been rather amazing except that he had the impetus of knowing the presentation had ended for he alone had been following along out of his little leather Bible. Mrs. Tiernan remained with her head bowed as the clapping slowly grew stronger. Finally, when the applause ceased, the lady bowed low once more, so that everyone had to clap again, and then she said, “Thank you! Thank you!” and swept out of sight, leaving from a hidden exit behind the pulpit. Soon the guests were led to a small breakfast room, where a light repast was waiting. While they ate, they shared thoughts on what they'd seen. Mr. O'Brien cleared his throat. He hated to disagree with anyone who was socially superior to him, but he had to correct what he saw as near-blasphemous thinking. While they continued eating, Mrs. Gullweather approached their table with a little bald man who wore spectacles and carried a small, bound leather book in which he was jotting information. “I hope you have enjoyed our little entertainment,” she began, after thanking them for coming. “And now we must rely upon your patience and goodness a little longer, while we beg you to consider making our orphanage a grateful recipient of the generosity that so distinguishes your class among men.” Ariana wished devoutly that she had the means to be as generous as possible, but knew that within her reticule lay a single crown. It was the last of her money. He rounded the table to where Ariana and Mr. Mornay were sitting, across from one another. He waited, pencil poised and ready to enter an amount in his account book. Meanwhile Mrs. Bentley offered the woman a few guineas, which she accepted gratefully. Mr. Pellham followed with a bank note of an unknown sum. Beatrice solemnly gave sixpence, and Mr. O'Brien just a little above that, as this unfortunate time of the month always found him in low water . Mr. Mornay, meanwhile, had turned to Ariana. “I should like you to propose the amount.” It was an embarrassing moment, as the topic of money was considered ungenteel. One did not discuss it, as important as it was. She blushed. He said nothing but turned to the recorder. “Send the bill to my house,” and he went on to give the information necessary while the appreciative clerk scribbled in his book. Ariana watched, with a spurt of elation. A heady delight. A feeling of unexpected....power. She found herself staring at Mr. Mornay as if realizing his great wealth for the first time. Only money! She knew of widows who lived on little more than what she had just been able to procure for the orphanage. With a few words, she had made a difference for the children. It was a marvelous new feeling, heady and intoxicating. Of course it was Phillip's money, not her own, but hadn't her aunt told her numerous times that all he had would soon be hers? That Mr. Mornay had offered her everything that was his? Any amount of pin money she wanted? She had never paid the least attention to the thought of sharing in Phillip's wealth, but suddenly it presented a world of possibilities to her. She barely noticed the rest of the proceedings, the thank yous and goodbyes. Only the parade of orphans, waiting to wave and cheer them off as they pulled away in the coach brought her fully alert to her surroundings. She looked at each child in a new way. What if she could afford to give them all a new article of clothing every year? Or new shoes? What if she and Phillip were to –to—start their own Society? There were still hundreds and hundreds of hungry, cold children on the streets. More orphans than this one asylum could house. As the carriage exited the iron gates of the grounds, Ariana was lost in a world of new thoughts and ideas. It seemed as if she'd been waiting all her life to have such thoughts. She'd never had the means to have them, before. As Mrs. Phillip Mornay she would have the means. As Mrs. Phillip Mornay she could do much good. Her eyes wandered to her silent, handsome future husband. Studying him, she felt a strong wave of love. She recalled wrapping her arms around his neck, and the wonderful feel of his arms firmly about her. The night of their betrothal he had taken her into his coach and put her upon his lap and they'd kissed. He was listening to Beatrice's absent chatter just then or she would have bestowed upon him a most adoring smile. As she studied the handsome face, strong nose and chin; the rich, neat attire, her heart swelled with love and pride—but also a slight discomposure. She was appreciating his circumstances in a way she had never done. Was it wrong? Was it selfish? To be happy that she would be married to a rich man? But she thought of all the charities she could support, the good works she could do, and her qualms dissipated. Mr. Mornay had been only too happy to let her name the sum for the Orphanage. Surely he would always be that way, wouldn't he? During the drive home, she dreamed of the future benefactress to the poor which she would become. The usually deflating scenes of needy children on the streets did not affect her as usual. “Soon, soon, my dear children,” she thought, “Mrs. Mornay will come to your aide!” At that moment her beloved turned his gaze upon her and her inner musings came to an abrupt halt. Once again, there was nothing of warmth in his eyes, nothing of the affection she usually found in them. Would the future Mrs. Mornay be a benefactress to the poor? Or was he having a sudden change of heart? Did he wish to—to cry off from the wedding? Had he allowed her to name the sum for the Orphanage to lessen the blow of his change of heart? Her thoughts of helping the poor paled in light of this disturbing notion. Was he re-thinking their wedding plans? Why else the coldness of his manner, the absence of meaning in his looks to her? She would need to find a way to speak with him, privately. Perhaps his distracted behaviour had nothing to do with her at all. She frowned. If it did not, there was something else on his mind that was troublesome. In either case, she must seek to help. Somehow she had to speak to him alone, and soon. Something was most definitely wrong. Linore Rose Burkard writes Inspirational Romance for the Jane Austen Soul. Her characters take you back in time to experience life and love during the Extended Regency in England (circa 1800 – 1830). Ms. Burkard’s novels include Before the Season Ends and The House on Grosvenor Square (coming April, 2009). Her stories blend Christian faith and romance with well-researched details from the Regency period. Experience a romantic age, where timeless lessons still apply to modern life. And, enjoy a romance that reminds you happy endings are possible for everyone.